movement. 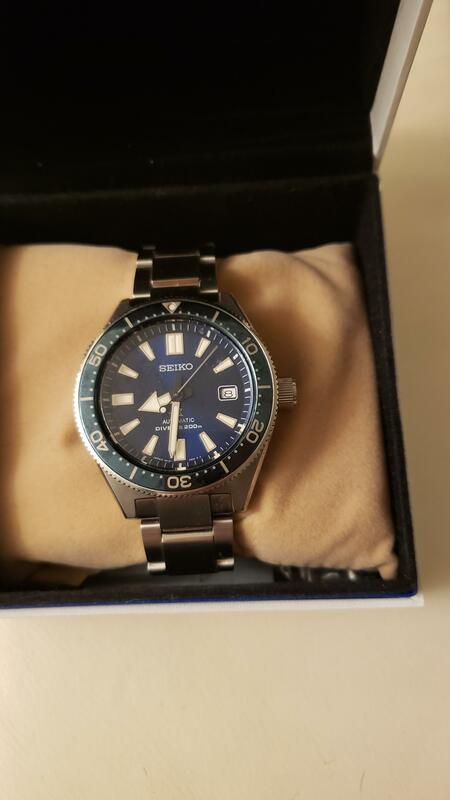 The dial/bezel are very blue not just under right lighting. Self winding automatic watch, features a 42.6mm stainless steel case surrounding a blue dial on upgraded Diashield folding bracelet. 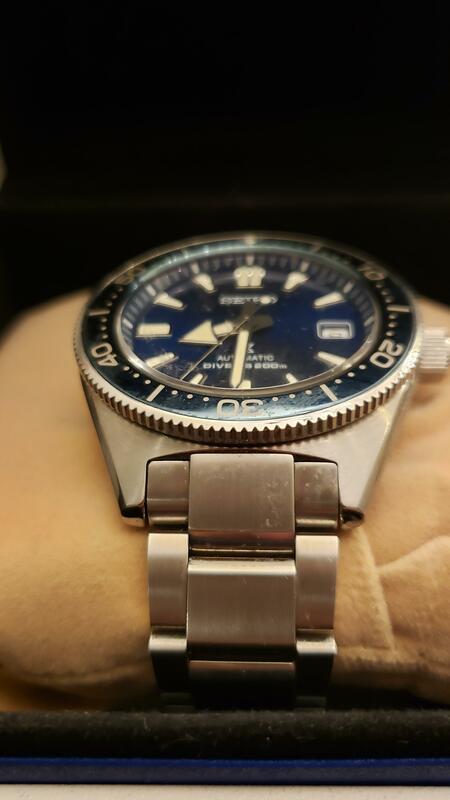 Functions include hours, minutes, seconds, bezel and date, 200m water rating. Screw down crown. This watch comes complete with box and papers and was big hit at Basel '17 and is based on the 1965 62MAS diver. Sapphire crystal, solid caseback. Got this from Hong Kong, may have been worn on rubber but came on unsized, plasti-wrap bracelet. I've worn maybe five times. 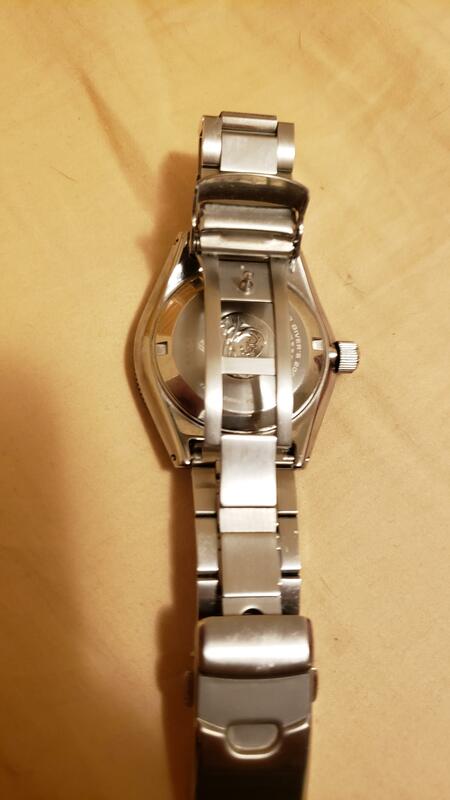 Watch was sized by watchmaker, no dings, dents, swirls. 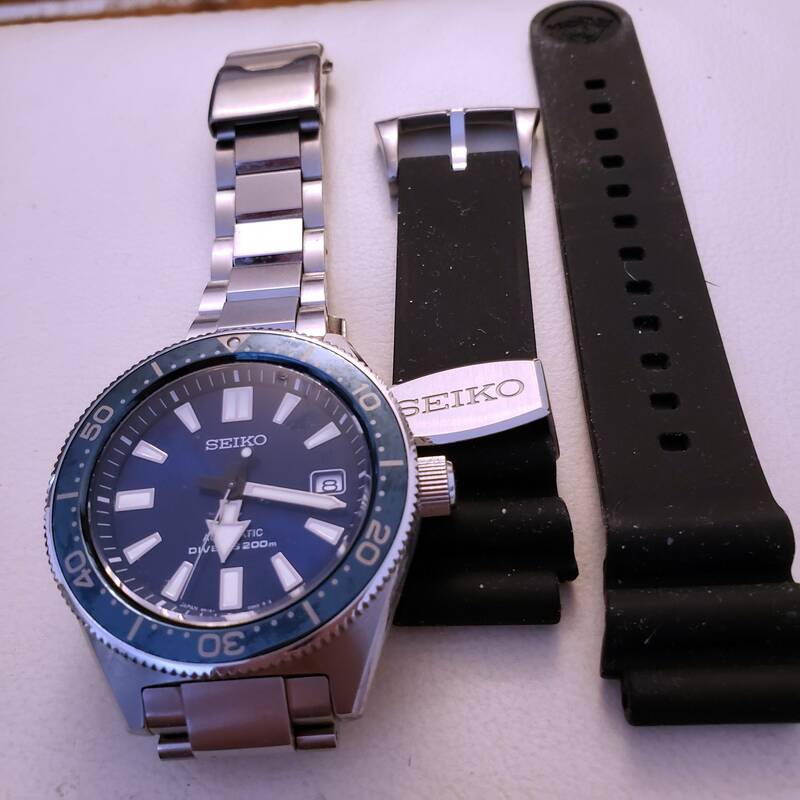 Asking $550 net from Lord for really great value Seiko diver. One of you stupid bastards should really jump on this deal forthwith. I'm offering this to a Lord for a hundred less than the outsider animals. Big respect for WL. Damn, I am looking for a black dial. Last call $535. I found/added the silicon OEM too. Sold. Gotta say these Prospex not resale proposition. Not speaking for MarineMonsters.